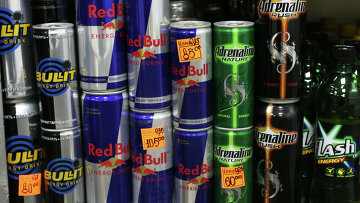 Russian regional lawmakers propose ban on energy drinks advertising | Russian Legal Information Agency (RAPSI). MOSCOW, June 29 (RAPSI) - Lawmakers from the State Assembly of the Sakha Republic (Yakutia) have submitted a bill prohibiting advertisement of non-alcoholic energy drinks to the State Duma, according to the database of the parliament’s lower house. Regional legislators claim that energy drinks contain high dose of biologically active substances that can cause side harmful effects including insomnia, activation, anxiety, tachycardia, increase in arterial pressure, arrhythmia. Nevertheless, outspread advertisement of such drinks is presented in media for pickup in sales and expansion of consumption, according to lawmakers. Interestingly, retail sales of non-alcoholic energy drinks have been restricted by law in more than 30 Russia’s regions including Yakutia, Cheсhnya, Krasnodar Territory, Astrakhan, Vologda, Nizhny Novgorod, Omsk, Rostov and Tula regions. However, these restrictions do not achieve the intended effect because of tonic power drinks advertising, the bill’s authors believe. 10:48 29/06/2016 Lawmakers from the State Assembly of the Sakha Republic (Yakutia) have submitted a bill prohibiting advertisement of non-alcoholic energy drinks to the State Duma.